The useful life of your water heater will be between 8-12 years after which you will need to replace the unit. However, the lifespan of your water heater will depend on few different things, which are crucial to its longevity and efficiency. These include the location of the water heater, water quality, design, and how well the water heater is installed and the frequency of its maintenance. With a few proactive tips, homeowners can extend the lifespan of their water heater and reduce the number of water heater repairs in the future. The anode rod is the most crucial part of your water heater since it prevents rusting and enables the unit to perform in optimum condition. This steel core wire is normally galvanized with aluminum, magnesium or zinc depending on the water condition. The anode rod prevents corrosion of the tank and acts as the sacrificial component which undergoes galvanic corrosion instead of the tank. Check that the anode rod is in good condition or better, add a second rod to increase the life of your water heater. Over time, sediment collects at the bottom of your water tank. This makes the water heater to work even harder to heat the water and at the same time corrodes the walls of the tank. This can lead to leaks, and cost you even more to replace the entire unit. As a result, flushing out the sediment is absolutely important to the efficiency and longevity of your water heater. You should flush out the sediment at least once every year. To flush out the built up sediment, attach a garden hose to the drain valve located at the bottom of the tank and the sediment will come out through the hose. Make sure to direct the hose to the street so that you don’t clog any drains in the process. The pressure regulating valve is a safety feature that opens up when there is too much heat pressure built up in the tank. This is important as it helps prevent dangerous explosions and damage to the tank. Ensure that the pressure valve is functioning properly to help extend the longevity of your water heater as well as eliminate safety risks. 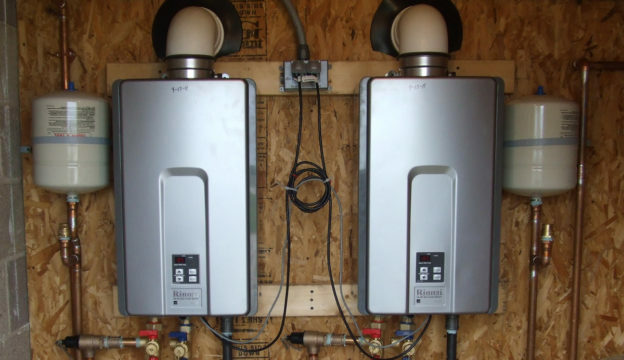 There are tons of benefits to adding insulation to your water heater. This not only increases energy efficiency but also lowers the costs associated with heating and other utility bills. Adding insulation prevents heat loss by as much as 45 percent. The higher the efficiency level of your water heater, the longer the lifespan as well. Installing water softeners will help reduce the wear and tear caused by hard water. Hard water contains high mineral content which is aggressive to the tank walls. In areas where the water is hard, installing water softeners will help reduce the effect of wear and tear which can reduce the life of your heater unit. Your water heater service Orange County and plumbing system should be regularly checked to prevent leaks and inefficiencies which can cost you more in repairs and replacements and utility bills. For all your water heater problems, our skilled technicians can help spot the problem early enough to prevent future disaster. Call us now for more information.